If you want a healthy replacement for greasy, salty potato chips, popcorn is a good option. 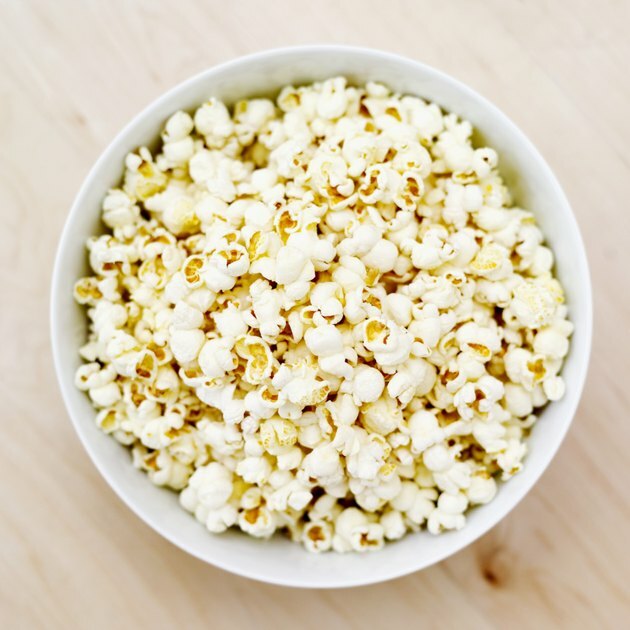 A quarter cup of kernels pops into a large bowl of popcorn with just over 200 calories. Skip the drizzle of melted butter though, or you'll negate the health benefits of air-popped popcorn. One quarter cup, or 2 ounces, of unpopped popcorn kernels has 213 calories, according to the U.S. Department of Agriculture National Nutrient Database. The calorie count only applies if you air-pop the kernels. Using oil would increase the calories significantly. Popcorn is a whole grain naturally low in calories and fat and high in fiber. A quarter cup of unpopped kernels has roughly 8 grams of dietary fiber, which is good for gastrointestinal health. With 6 grams of protein per 2-ounce serving, popcorn also makes a satisfying snack.